In 2010, AJ’s cafe in Ferndale Michigan tried to beat their Guinness World record for the longest attended concert with 314 hours of continuous music performances. This is a sample of that event. 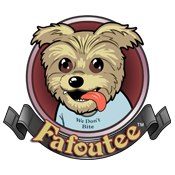 This entry was posted in Fafoutee, Small Business, Social, Video, Video Production and tagged AJs Cafe, Assembly Line Concert II, Autoworkers, Detroit, UAW, UAW-GM, video.